Strategic partnerships locally and globally propel economies through sparking new links and ideas to increase efficiencies. From suppliers to new ventures, Navesta unites with businesses which represent the health care industry in order to change health care in communities across the globe. 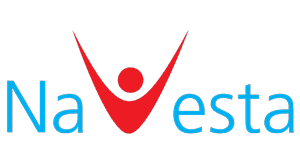 Navesta is always looking for suppliers with credibility to deliver required quality materials to enhance Navesta's products. Navesta continually seeks collaborations with other pharmaceutical manufacturers as well as pharmaceutical corporations to work together to create products of the highest quality. Developing a global distribution system is vital in order for the citizens of the world to have access to high quality, affordable pharmaceuticals. Navesta's continual commitment in enhancing its distribution system creates a path of accessibility for each and every individual. Interested in partnering with Navesta?